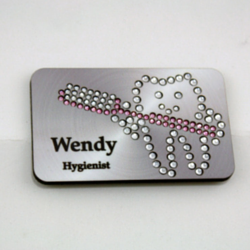 Bling Name Badge® Recent Favorites! DARE TO BE DIFFERENT......WEAR YOU!!! 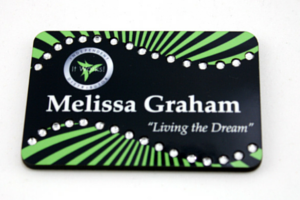 There is no set up/design fee when you choose one of our stock designs that you order through our Bling Name Badge Catalog. We can place your logo and try to match your colors as close as possible. 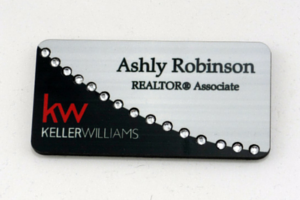 WE CAN TAKE YOUR LOGO AND APPLY TO ANY EXISTING STYLE SHOWN...THE PRICE YOU PAY IS THE LISTED PRICE. You are not limited to our stock designs shown. 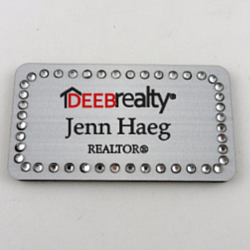 We can take your logo and colors, special to your company or organization and make a Bling Name Badge unique for you! 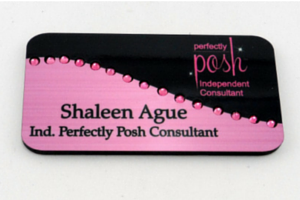 There is a $35.00 set up/design fee which includes your first badge when we create a special "BLING NAME BADGE" PATTERN. 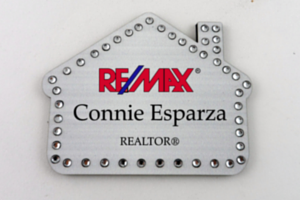 In the Bling Name Badge Catalog Search area enter the word CUSTOM to see examples and to order a custom Bling Name Badges. After, the initial set up, additional bling name badges will be in the 12.00-18.00 range depending on the final design selected.